"Dear Earth..." Woman Made Gallery Calls for Art - Deadline April 26 - Art Matters! « Spring 2019 Writing Groups start Monday 4/15! ***All applicants should submit a brief artist statement. The first sentence of the statement should begin, “Dear Earth…[add your message of action, hope, or inspiration]. Accepted artworks must not exceed 72″ horizontally and must not have been previously shown at WMG. About the Juror: Catherine Game is the Executive Director of Brushwood Center at Ryerson Woods. Catherine ensures that the legacy of Brushwood Center thrives through strong partnerships and inspiring programs that connect art, nature, and wellness. Prior to joining Brushwood Center, Catherine served as Director of Communications and Engagement for Chicago Wilderness where she oversaw the organization’s communications, member engagement, and efforts to cultivate a diverse conservation constituency. Catherine has held previous positions in communications, program evaluation, and education with conservation groups in Michigan and Illinois. She holds a Master’s degree in Natural Resources and Environment from the University of Michigan and a Bachelor’s degree in Biology and Art from Albion College. Catherine is the recipient of the Doris Duke Conservation Fellowship and a Morris K. Udall Scholar. 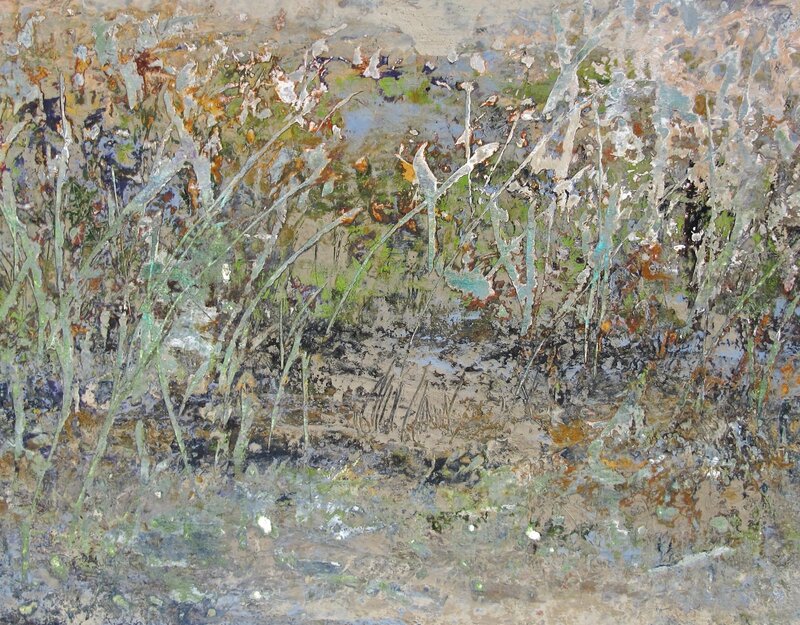 As an artist Catherine Game explores the role of art in cultivating human relationship with the natural environment. Integrating sustainable paint-making into her process, she uses plants, minerals, spices, and other gathered materials to create hand-made paints. Banner Image: Opening Reception during ‘Quilt & Resist‘ group exhibition. Exhibition Description: Invitation to all female identified artists worldwide to submit artwork for this open exhibition. All themes, styles, and media will be considered. Artwork that explores or challenges conceptual and material boundaries is encouraged. We encourage entries of recent works, but there is no restriction in the creation date. All applicants should submit an artist’s statement about their body of work (up to 250 words.) Accepted artworks must not exceed 72″ horizontally and must not have been previously shown at WMG. Dolores Mercado is the Associate Curator at the National Museum of Mexican Art (NMMA) in Chicago, Illinois, and former Associate Director of Education and Senior Arts Educator. She studied at the National School of Painting, Sculpture and Printing La Esmeralda in Mexico City, The Academy of San Carlos from the UNAM in Mexico City, The School of Video of the University of Guadalajara, and at the School of Visual Arts of the University of Guadalajara. Mercado was the Curator of Women Artists of Modern Mexico: Frida’s Contemporaries; La vida sobre papel: Judithe Hernández; Contemplations: Dan Ramirez, Works from the Permanent Collection; Deportable Aliens: New Work by Rodrigo Lara Zendejas; La Muerte Niña: Day of the Dead; Carmen Parra: Suave Patria; Rito y Recuerdo: Day of the Dead; Quilt Me A Story: Nuestros relatos (Immigration Stories); Maquila Blues: Oscar Moya; Fragmentos: Pilar Acevedo; and Abyss: Rocío Caballero among many others. Mercado has also Co-curated Memoria Presente: An Artistic Journey; !No se olvida! Remembering the Tlatelolco Massacre and Rastros y Crónicas: Women of Juarez, and others. Mercado has hosted Camino Tierra Adentro radio program at WRTE 90.5 FM (1999 to 2004, MFACM), and Alquimia radio program at WRTE 90.5 FM. (2004-2006) NMMA. She was coordinator and collaborator for the Women Artists of Modern Mexico: Frida’s Contemporaries catalog and Coordinator for Nahui Olin: A Woman Beyond Time catalog, NMMA. Mercado has been in charge of several Symposiums, Conferences and Events and has participated as a panelist in Art in Response to Violence, Northeastern University; Ni Una Más: Remembering the Missing Women of Juarez, DePaul University; and Translating Tragedy into Art, a conversation with Filmmaker Carlos Carrera. Dolores Mercado has exhibited in the US, Mexico, Spain, Canada and Nicaragua. Woman Made Gallery (WMG) is a tax-exempt, not-for-profit organization founded in 1992. Its mission is to support, cultivate, and promote the diverse contributions of women in the arts through exhibitions and other programs that serve, educate, and enrich our community. We rely on membership contributions and individual donations to create the programs that support our mission. YOUR DONATIONS HELP MAKE WMG’S EXHIBITIONS AND PROGRAMS POSSIBLE! Woman Made Gallery is supported in part by grants from The Arts Work Fund; The Chicago Department of Cultural Affairs and Special Events; The Gaylord and Dorothy Donnelley Foundation; The Efroymson Family Fund, a CICF Fund; The Illinois Arts Council Agency; The MacArthur Funds for Arts and Culture at The Richard H. Driehaus Foundation; The Joyce Foundation; and the generosity of its members and contributors. We thank our Art Angel, an anonymous donor who contributes generously and repeatedly through BMO Harris Bank.